UPDATED, March 20, 9:08 a.m.: The historic Santa Monica Clock Tower Building is changing hands. 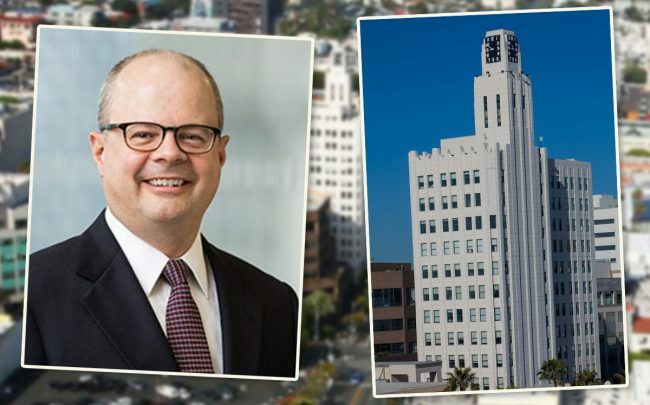 Rockwood Capital acquired the 12-story Art Deco office building for $58 million. The purchase was made through its High Noon Office LLC. The seller was Sorgente Group of America, the U.S. arm of Sorgente Group of Rome. Sorgente confirmed the sale price. The firm acquired the 90-year-old building in 2013 for about $34 million. The property at 221-225 Santa Monica Boulevard is 53,500 square feet and includes the four-story clock tower. Its tenants include the investment firm Bold Capital Partners, H Code media and Hylink, which is a China-based digital media firm. Considered Santa Monica’s first skyscraper, it was the tallest building in the city for 40 years. Because of the city’s building height restrictions, it remains one of the tallest properties in the area today. The Clock Tower adds to a list of Rockwood’s projects in Southern California. The firm is in a joint venture with Lowe Enterprises and AECOM to develop the $350-million Ivy Station complex in Culver City. HBO is slated to take 200,000 square feet of office space when it opens later this year. Rockwood is also building a 190,000-square-foot building at the Water’s Edge creative campus in Playa Vista, which it purchased for $190.5 million from DivcoWest last year. Sorgente’s portfolio has included prized historic properties, such as the 183,450 square-foot Flatiron Building in New York City and the 120,000 square-foot Fine Arts Building in Downtown L.A. Sorgente Group had purchased the Clock Tower building from an entity led by Los Angeles accountant Harvey Bookstein. Correction: A previous version of this story provided an incorrect amount for the sale price.